Oh. Oh myyyyyyyyyy. We went from jeans and jackets in a downpour over last week's July 4th to *real* southern summer weather: welcome to sticky. humid. oppressive. heavy. air. with. no wind. 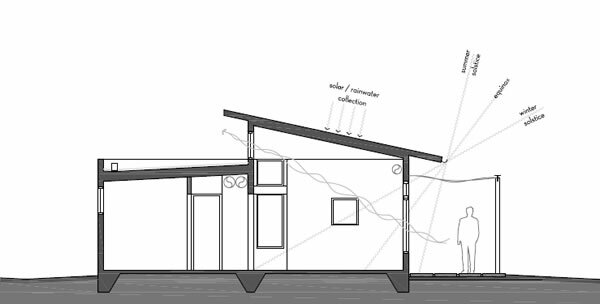 The passive solar design of the off grid prefab house helps hot air escape through clerestory windows and, windows open, catches any breeze that blows. Oh mah gosh it's hot and hello honeychiles- welcome to the south. We submerse ourselves in water. On the bay, I am surrounded by off grid. lure fish. It also lures boats, filled with people who neither seem to care about what's in season. It's like people who hunt deer with dogs, but on the water. My It's Hot... I Miss Finland! When I become down I just look at Finland and perk up- check out what Helsinki does- they have an underground lake to cool the city! "The city says that compared to the environmental impact from conventional air conditioning systems needed to cool the same number of buildings, their centralized cooling system is emitting about 80 percent less carbon dioxide and other greenhouse gases. Based on energy demand, the city also estimates that the overall energy efficiency is about five times that of a building-specific cooling systems. But Helsinki's is not only extremely comprehensive, it's also part of a larger cooling and heating system. They city already claims the world's largest underground heat pump station, named Katri Vala, which uses "district heating"—absorbing thermal energy from wastewater to warm people's homes." She was sitting on an egg! Life brings us many hurdles. Let us love.